Dream Home, Dream Celebrity Neighbours Too! We all have fantasies about buying the home of our dreams, complete with the ultimate in fixtures and furnishings, perhaps a huge swimming pool, space for all our luxury cars, and even features like a home cinema, tennis courts, bowling alley and music studio too. And of course if you win the lottery, you'll be able to afford all the extravagances you've ever wanted, and more! But as much as we love daydreaming about the biggest, most opulent home money can buy, it's not often we consider who our neighbours could be - and one thing's for sure, if you're buying a house with a multi-million price tag, there's a very good chance you could end up neighbours (and possibly BFFs) with other millionaires too. And not just any old millionaires - celebrity millionaires who you're more used to seeing on movie posters and album covers, now sitting opposite you at your first 'meet the neighbours' dinner party! It just goes to show, being part of the upper classes isn't just about having more money, it's about experiencing life on a whole new level. His dalliance with Rihanna may be too gossip-fuelled for us to keep track of, but one thing we do know is that Leo is a lover of LA - so if you're thinking of moving to the City of Angels, you may want to scout around for some vacancies next door. Leo's not-too-shabby $4 million LA pad is home to a huge entertainment area, as well as a garage that has to be seen to be believed. Our suggestion: pop over for a cup of sugar and see how obliging he's feeling. You could be on the guest list at one of his next parties! It may take a little more detective work to get invited round to this power couple's place, as their work schedule often has them travelling away from home, but if you can buy your dream condo next to theirs in New York City, we're sure it'll be worth the wait. 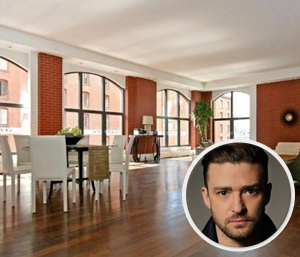 Of course as their home set them back $7.6 million, it may cost you a pretty penny too, but the breathtaking views of the city's iconic skyline will more than make up for it. Turns out saying "Yadda yadda yadda" for a living is more lucrative than you'd think - which is how comedian Jerry Seinfeld is able to afford his mansion in the ever-popular Hamptons. As one of America's favourite holiday spots for the elite and upwardly mobile, it's the perfect place for a lottery winner like yourself to move into as well - although if you're thinking of shacking up next to the Seinfelds, bear in mind that as their home set them back a massive $32 million, you may have to dig a little deeper into your pockets than usual. 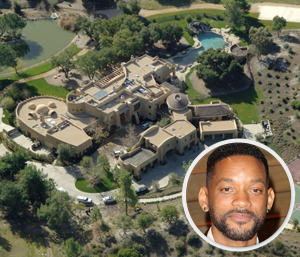 We've all heard the saying "go big or go home", but did you know that as a lottery winner you could do both at the same time - by moving in next door to Will Smith! That's right, you can go big and go home next to the Smiths, with a dream home in the region of $42 million - at least that's what this pair of Hollywood super celebs paid for their complex in Calabasas, California. Of course with a bank account full of lotto winnings, keeping up with the Smiths won't be a problem for you - the only problem you might have is waiting longer than five minutes before rushing over and introducing yourself! We don't know about you, but the thought of being able to move in next door to a celebrity has us reaching for the lotto tickets like nobody's business! If you'll excuse us, we'll be buying our tickets for the mid-week draws - and checking out maps to the stars' homes while we're at it. All we need now is one huge lottery jackpot, and a welcome mat! Winning a big lotto jackpot would put you among the wealthiest people in the world! Here is a list of celebs you'd be richer than after hitting the jackpot. Hitting that multi-million dollar jackpot would change your life in more ways than one. This is how you can live like your favourite celeb after winning the lotto. The big lotto jackpots can even change the lives of celebs! See how these celebrities have had their lives changed by the lottery. Even the most famous celebrities have their favourite lotto! See why celebs choose the SuperenaLotto over other lotteries right here. It's well known that celebrities like jewellery, see what famous jewels your big lotto jackpot win can buy you right here.